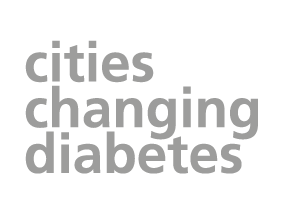 A total of 140 diabetes risk scores were carried out when the Leicester Changing Diabetes team recently visited the city’s Hastings Direct office. Located on Saint Georges Way, the insurance company’s Health and Wellbeing team wanted to promote Diabetes Awareness Week among their workforce. As well as the 140 risk score identifications, the Leicester Changing Diabetes volunteers also carried out 51 HbA1c finger prick blood tests. Those who were deemed at risk of developing type 2 diabetes were given lifestyle advice and urged to see their GP. Project manager Sophie O’Connell, who led the visiting team, said: “It was a fantastic day. The office was bright and colourful, the atmosphere was thriving and busy and the workforce were enthusiastic and interested. “Calculating people’s risk score included measuring weight, height, waist circumference and BMI as well as asking questions on age and ethnicity. Those who were identified at increased risk were given the opportunity to have a blood test to check their levels of HbA1c.